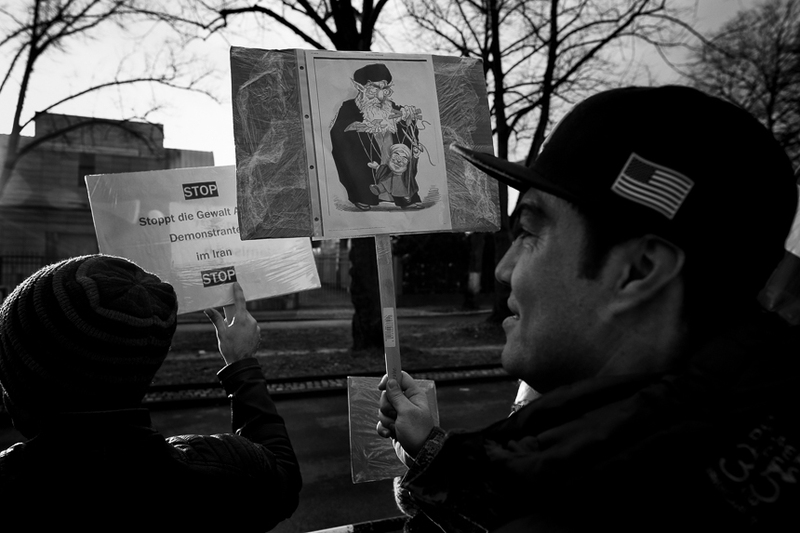 Iranian monarchists held a rally in front of the embassy of Iran in Berlin. 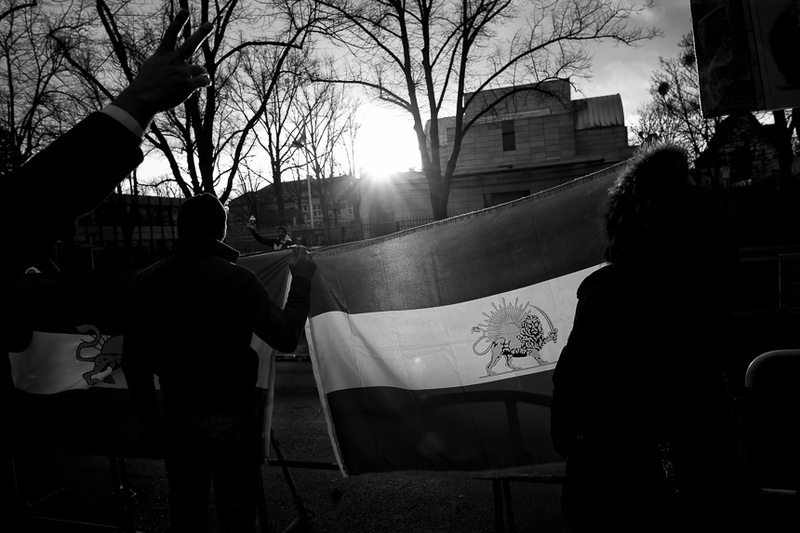 They condemned the regime in Teheran and demanded an end of the Islamic Republic. Also they urged to stop the violence against peaceful protesters in Iran. In the last seven days thousands joined spontaneous mass demonstrations in cities across the whole Iran. 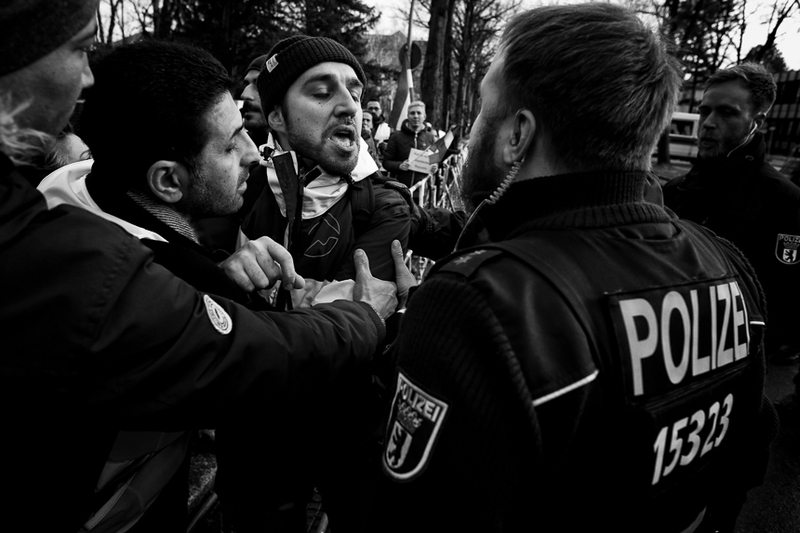 For the first time and unlike during the Green Movement in 2009 the participants chant not only for social and political change but also against the Islamic Republic itself.